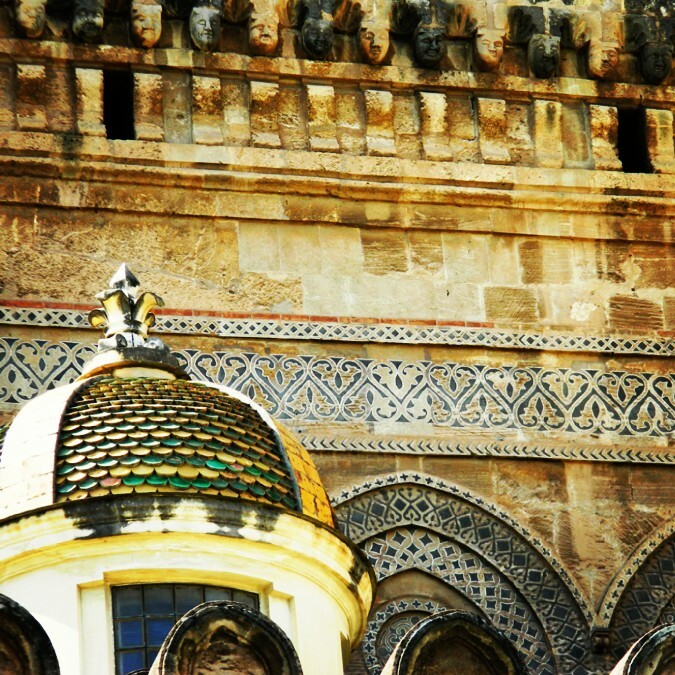 Palermo Cathedral’s cupolas, which are adorned with majolica tiles, are a historical contrast to the Norman-Arab details over the arched original windows. The cupolas were added in 1781. The original Norman church as build between 1179 and 1185. These are just two examples of the numerous architectural styles that exist side by side in the cathedral’s design.